Inca Jungle Trekking Peru 4Days - Andes Path Peru. 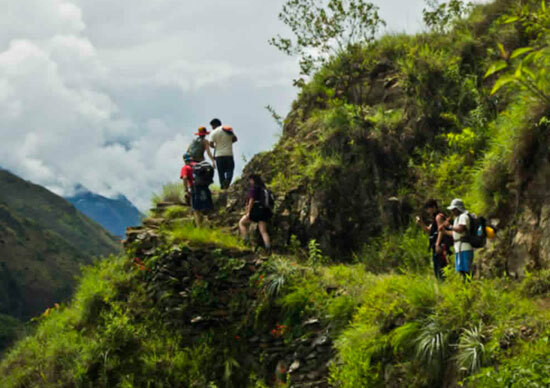 The Inca Jungle Trekking Peru 4Days , is a multi-activity that combines adventure sports such as mountain biking, rafting, zip-lining and hiking for 4 days until you reach Machu Picchu and Wuayna Picchu. Inca Jungle Trekking Peru 4Days is a favorite tour for everyone who arrives in Cusco looking for adventure and extreme sports to de-stress. 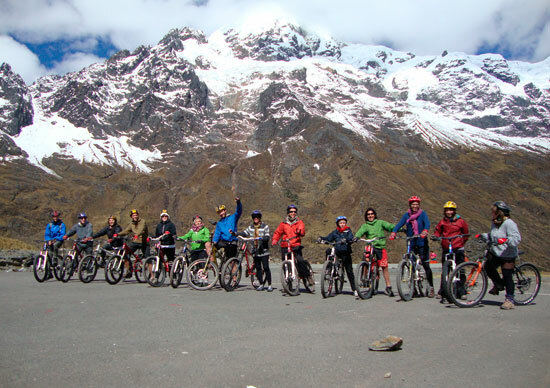 As local operators, Inca Jungle Trekking Peru 4Days, offer a differentiated service; With an exclusive route, with an staff of qualified professionals (accredited and with domain of languages, English and Cultural history), with conditioned bicycles for the descent, with services of canoeing and tirolesa, Inca Jungle Trekking Peru 4Days have a safe, fun services and especially with medical assistance. Inca Jungle Trekking Peru 4Days, recommend to our Customers to book in advance to have everything organized and avoid unnecessary risks like, loss of equipment, to be without access to Machu Picchu, Wuayna Picchu or worse, to be stranded in Aguas Calientes (without return train), Inca Jungle Trekking Peru 4Days, the best Multi-Activity in Cuso city, the best with no restrictios to book. Day 1: Cusco/San Luis/Santa María. We begin the tour at 7:30 am, pick up from your hotel. Crossing the towns of Chincheros, Urubamba, Ollantaytambo; places that belong to Sacred Valley. Then we will arrive to Abra Málaga (4316 m.s.n.m. or 14160 feet), where we will appreciate to the majestic snowcapped mountain of Huacay Willca (Veronica). From here, we will begin our descend on bicycle, crossing different ecological zones like: Puna and Cloud Forest (both have a huge range of flora and fauna). We finish our journey on bicycle into the archaeological remains of Huaman Marq’a, then we nail down our route in Santa Maria town (approximately 1200 m.s.n.m. or 3937 feet). Overnight, dinner and Breakfast of the next day. After a delicious breakfast, our Trek until the Santa Rosa town ( 1 hourapprox), touring the ancestral Inca Trail of Qhapaq Ñan. From this place, we will see birds like: parrots, hummingbirds, eagles and Coca Leaf Plantations,(Sacred Leaf of the Incas), Fruit plantations, coffee, yucca, fruit trees (orange, mango, banana). We have break and talk with the locals of Pispitayoc, where we able to relax in hammocks and have the fun with monkey and capiso antics. Restarting the trek, it will appreciate beautiful and impressive landscapes of mountain range of Vilcabamba that will end in Qellomayo town. 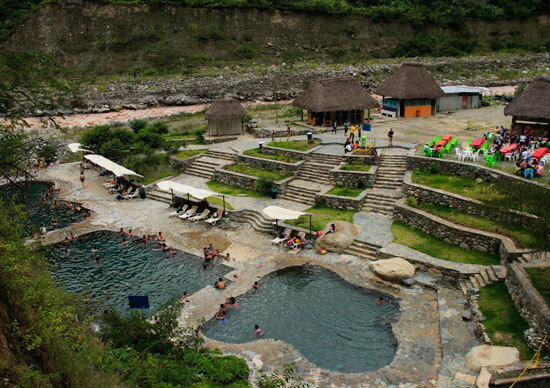 At this place, we will lunch and begin the last part of the trek, crossing the hot springs of Cocalmayo (optional) and reach the San Teresa town. then to start our fun Zip-Line (500m) Overnight, dinner and breakfast of the next day. Day 3: Hidroeléctrica /Aguas Calientes. Continuing our walk by 3 hours viewing the waterfalls. Also, we will see the plantations of coffee and coca to reach Hidroeléctrica (1900 m.s.n.m. o 6270 pies). After lunch, we will continue by the train rail to reach Aguas Calientes town, where we will lodge and will have the free afternoon. At night, we will gather to dinner and plan the climb to Machu Picchu of the next day. At 05:00 and after the breakfast, our walk course the Machu Picchu Sanctuary around by two hour (optional by bus 30:00 minutes.). In the entrance of this Inca citadel, you will show your ticket to start with the tour by two hours. After the visit guided, you will have free time for tour Machu Picchu by your own account and climb to Huayna Picchu (optional). Also, you will have another places like: Inti Punku and Inca Bridge. At the end of our tour in Machu Picchu, we will descend for take the train to Ollantaytambo; where it waits you a bus that will take you to Cusco, End of our service. Visit to special mountain of Huayna Picchu, where only climb 400 people at day and if you want to climb this mountain. You will have to add 15.00 dollars to ticket of Machu Picchu entrance. We have 2 new activities that we can do during our expedition in Inca Jungle. The first option is get on a boat through Urubamba River, around two hours. Where you cross the rapids class of II and III, also we are witness the beautiful landscapes. Cost: 30.00 dollars by person. (First day). Rain jacket, hat, sunblock, sunglasses. Chocolates, candies or another snacks.